Do you believe in keeping sync with the present times? Then, why not keep your car decoration as per the current trend also? 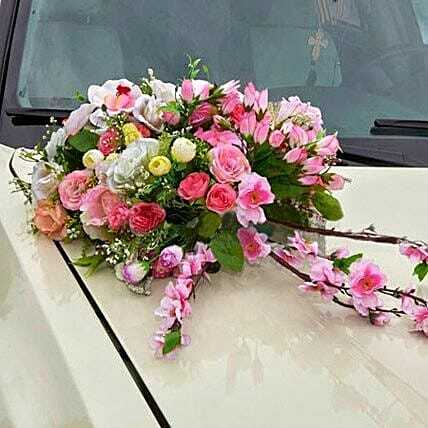 Give a refreshing look to the decoration of your wedding car by hiring the Trending Car Decoration services of Ferns N Petals. Let the heads of people turn around when your wedding car passes across the streets and the main road. Park your vehicle in a safe, cool and dry place to ensure long life of the flowers.